Design credibility and appeal to the most discerning clients. Durability to endure the most testing program of events. Flexibility to be rebuilt in endless different configurations for endless different events. Individuality to create unique solutions for every client. Useability, practical, tactile, creative – and even fun to build. lite is an entirely new modular exhibition concept that was developed in Europe. The purpose of lite is that one concept is used for all exhibitions. The construction is based on a simple panel and node system that ties together all the elements. 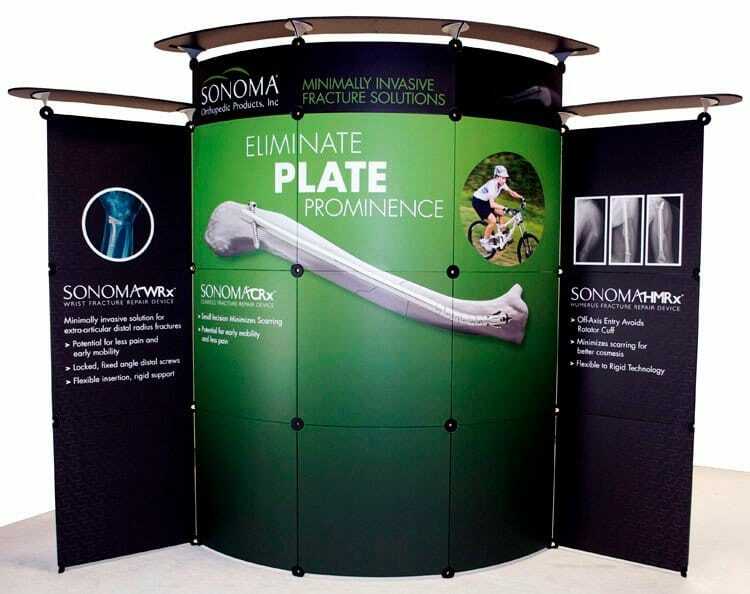 Your finished display can be easily reconfigured to alternate structures, a feature you won’t find with most modular or custom exhibit systems. Add a wide variety of accessories and you will find that lite is a unique and modern solution for the exhibitor that needs to remain fresh and exciting at every show but doesn’t wish to acquire a new display for each event. You will probably notice that investing in the lite is a higher one-off expense than with other types of transportable exhibition systems. However, the advantages compensates for this by far. We could go on and on… The important thing is that lite gives you the opportunity to tailor your exhibition with a transportable concept. At the same time you cut back on expenses for set-up/take-down while extending the life of your display with multiple configurations.